Impeccably pure aroma, moderately strong on the nose and inviting, considerably immediate and quite attractive on the palate, yet complex, harmonious, perfected. It shall particularly appeal to aficionados of somewhat sweeter notes. The aroma is in line with the grape variety, leaning towards ripe sweet apples, supported by a caress of noble rot, lending it an extra dimension. 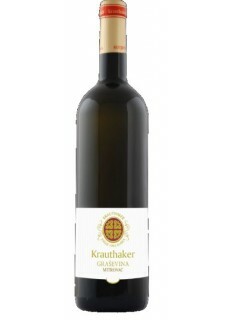 In mouth, the wine proves full, warm, creamy rounded, vibrant, mildly delicious, with pleasantly mild bitterness typical to the grape variety, well balanced by certain saltiness and good acidity.